More importantly, the Programming Rules Review now allows to define a programming rule that is quite requested: if the code of a method (or module) contains some expression, then the code of that method (or module) must contain also some other expression. For example, if a method opens a recordset, it must close that recordset (or set a variable to Nothing). How this is done will be the subject of a separate post. Enhanced [#11869] (All): The Programming Rules Review now allows regular expressions backreferences in the Value field of a condition for captures in the value field of a When condition. Enhanced [Internal] (All): The Programming Rules Review now shows all violations using the “Not Containing” and “Not Matching” operators. Enhanced [#11837] (All): On Windows Vista or higher you can now type the location of the options files, with a new folder browser dialog. 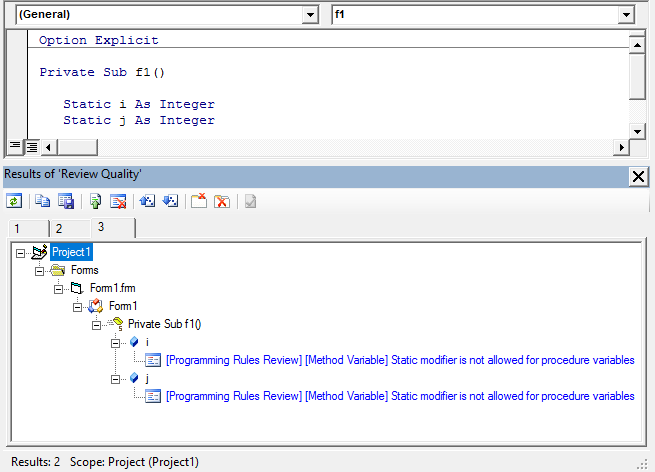 Enhanced [#11874] (VB/VBA): Features that deal with procedures now distinguish between Subs and Functions. Fixed [#11886] (All): The Private Clipboards dialog now allows to click the OK button by keyboard using Alt+O. Fixed [#11863] (All): The Find Text feature didn’t allow regular expressions when using Multiline. Fixed [#11883] (VB/VBA): The Statistics feature now includes only text files that are recognized text files or parents of code files. 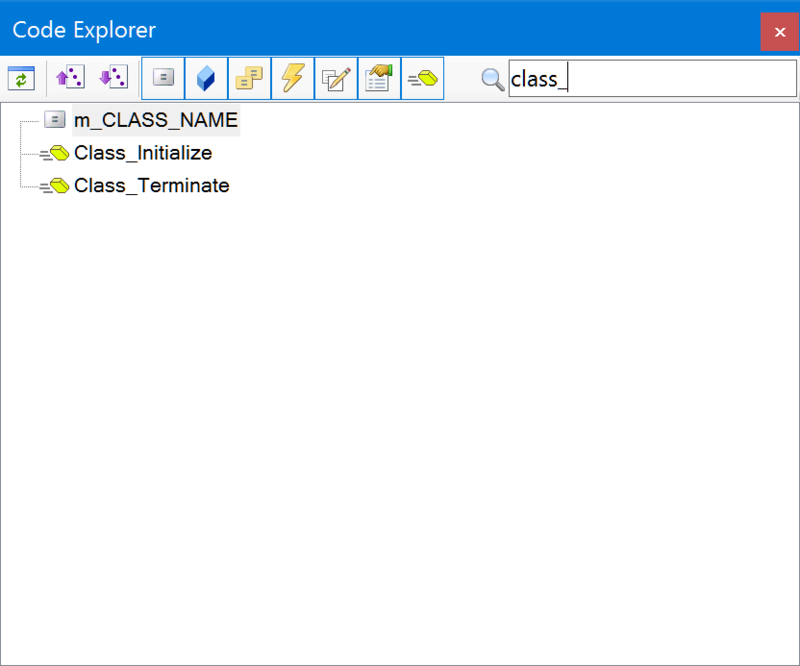 Fixed [#11880] (VB/VBA): Event handlers were considered dead code if used all lower case. Fixed [#11866] (VBA): The Insert Header feature can cause NullReferenceException when used with CSS files (which are unsupported). Fixed [#11845] (VBA): The Line Indenter didn’t parse correctly lines with the space + comment character sequence inside a string. Fixed [#11825] (VBA): After inserting a code template, the code window didn’t get the focus. 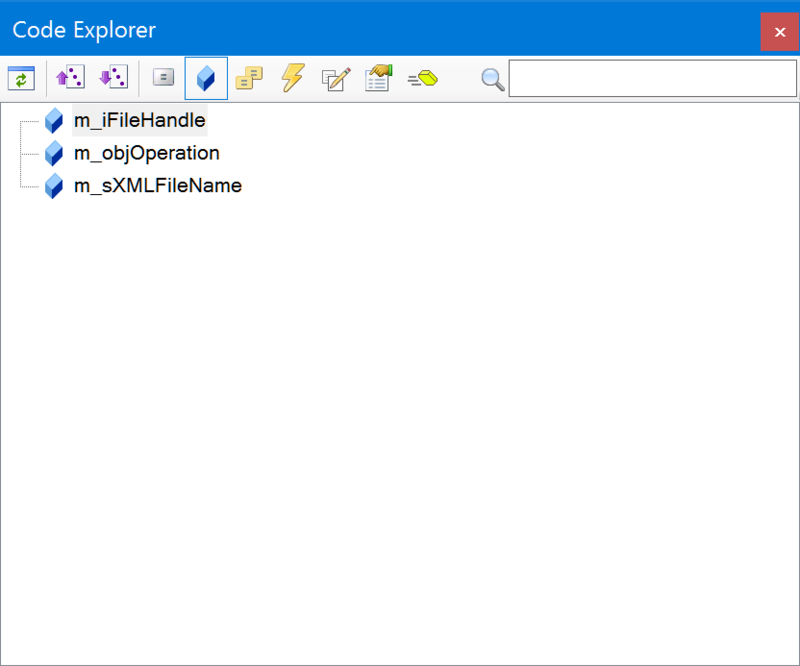 Fixed [#11837] (VBA): On Windows Vista or higher you can now type the location of the options files, with a new folder browser dialog. Fixed [#11858] (VBA): The Database Connection Assistant didn’t show the connection string with the MySQL ODBC driver. Fixed [#11894] (VBA): The scope “Open files” didn’t work in Microsoft Access. Fixed [Internal] (All): The Programming Rules Review caused exceptions if invalid regular expressions were used. 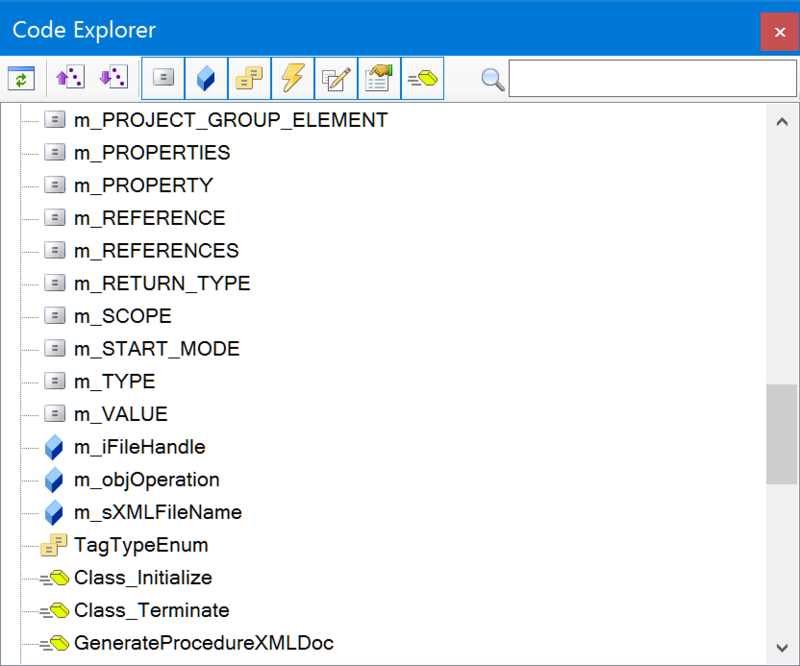 You can read more about the Code Explorer on this post: Moving from MZ-Tools 3.0 to 8.0 Part 32: A Code Explorer. Also, support for drag & drop in the TabIndex Assistant is reintroduced (this was supported in MZ-Tools 3.0, but not in MZ-Tools 8.0 until now). Enhanced [#11723] (All): Added support for drag & drop in TabIndex Assistant, Switch Assistant and other listviews. Fixed [#11779] (All): The Programming Rules Review didn’t locate results using regular expressions when the found text ended with carriage return without line feed. Fixed [#11775] (All): The Code Element Headers Review caused “Unterminated  set” with headers that included parameters of array types. Fixed [#11750] (All): The Generate HTML documentation could cause System.Xml.XmlException: hexadecimal value is an invalid character. Fixed [#11739, #11749, #11757] (VB/VBA): The language of the user interface was always English on Windows 7. This bug was introduced in build 8.0.0.120. Fixed [#11766] (VS): The New Method/Property Assistant added quotes to the initial value String.Empty. Fixed [#11804] (VBA): The Find feature could cause System.ArgumentOutOfRangeException when using the VBA editor with double-byte encondings. Fixed [Internal] (VB): The Generate Documentation (XML/HTML) could cause System.NullReferenceException (“System Error &H80004003. Invalid pointer”) if the operation was executed twice. Fixed [Internal] (VBA): The width of buttons on toolbars was not correct when using high-DPI displays.